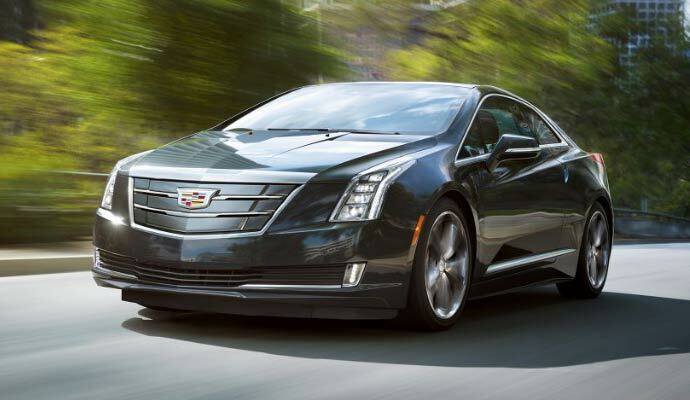 The release of the new 2016 model of Cadillac ELR marks the revamp of the brand in a big way. They needed to pull some major strings and provide a significant update if they were to fix the mistakes done with the 2014 model which landed it on the top 10 worst cars list of the year. They are still keeping it a two door car, but are providing it with more power and better specs, a great technological upgrade and a massive reduction on the price which is around $10,000. What has Cadillac also included in the car is the new extended-range electric vehicle application which will be used for the first time in a luxury vehicle like the ELR. This is something that will enhance the vehicles driving performance and of course give it more range than before. They are hoping to make it also more competitive in the EV market where the competition has already grown as fierce than it could be. The previous car was not so bad designed. It has some good angels and design features to it that most cars would want. But it was getting down to the details that made it bad. The drivetrain for instance was one of its flaws and the high price as well. No one would like a car with an average performance rate at a high price and it was what made the previous ELR fail so much. This year we are hoping for a much better performance from the Cadillac ELR car and greater response on the market. On this automotive website you can see that the exterior of the previous Cadillac ELR car was the best thing that it got going for it, there needed not many changes to happen here. The vehicle retains its cohesive-looking exterior for the 2016 year as it will still lean over and provide a massive presence that way. This is due to the fact that the rear part slowly rises from back to front. It has some short overhangs added and a some subtle chrome details that are seen on the sides of the flanks and the window-surround. The rear part of the car has been designed to look a bit pointed and has a sharp feel to it. The headlights and the taillights have been redesigned for this occasion and in fact really tie in the whole design together in a great way. The greatest difference, on the other hand, and perhaps the only one which is concerned with the new ELR car is the added new grille to the car. Cadillac has decided to remove the old vertical one and has added a squared-off crest which goes much better with the circular surrounding of the vehicle. Upon its release, Cadillac has stated that the 2016 model of the Cadillac ELR is going to be one of the most technologically sound vehicle with a much updated interior and some innovated technological updates added inside. They were not fooling around when they announced this as this is perhaps a vehicle with the most spectacular looking interior from all of the ones in the same class. For instance, a standard feature in the ELR car is a 4G LTE built-in Wi-Fi hotspot and a OnStar. 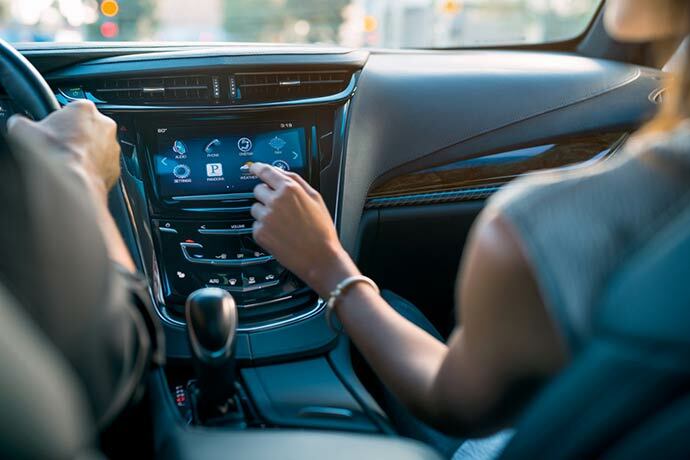 It can support seven devices at the same time and also includes a wireless inductive cell phone charging on the instrument panel. To keep the driver informed and in check about the details of the vehicle there is an information display provided with all the vital data about four levels of information details. The Driver Assistance features were provided as optional equipment with the previous ELR car but now come as standard safety equipment in the 2016 model. It includes side blind-zone alert, Intellibeam headlights, rear cross-traffic alert, lane-change alert and optional adaptive cruise control. The comfort levels have also been primed up a bit and they add some handcrafted upholsteries, a “sueded” microfiber headliner, Semi-Aniline full leather seating and a supporting trim. With a very useful power-assist covered storage/cup holder and added space by folding down the back seats, the interior of the new 2016 ELR is much better and much useful than before. The greatest problem with the powertrain of the previous ELR was that it had been underpowered and uninspiring. The enhancement for the 2016 model starts with a software upgrade that enables better acceleration, increases power and also the overall all-electronic range of the vehicle. With the Sport mode this time you can combine the ICE and the electric motor in order to achieve the maximum output for the motor. The electronic drive of the Cadillac ELR can achieve a total of 373 pound-feet of torque and an acceleration of 6.4-second 0-to-60 time. There are announcements that the top speed level has been also raised and will go much higher than that 160 mph of the previous one, but no exact specs are available this time. The vehicle will also have a 1.4-liter gas-engine generator that can get 330 miles of range with emission free driving and a range of 39 miles of electric-only. The 435-pound battery pack is placed right along the spine of the vehicle and is located just between the front and rear axles for better weight distribution. The best news for the new Cadillac ELR is its price reduction. Not only has the car increased its potential and performance but you get all that at a much more affordable price than before. The old vehicle had a price tag of $68,500 while the new 2016 model will cost $58,495 base MSRP, which is a 10 grand savings if I did the math well. All in all, the car will be available at the start of th next year when its official release date will be announced. Sam Gatt is a lover of cars and also motor racing. He has owned a kart for a number of years and competes at a national level. He is also a tech geek and lover of the great outdoors.